When a room is full of memories and shared moments, it’s more than just a living space... it’s home. 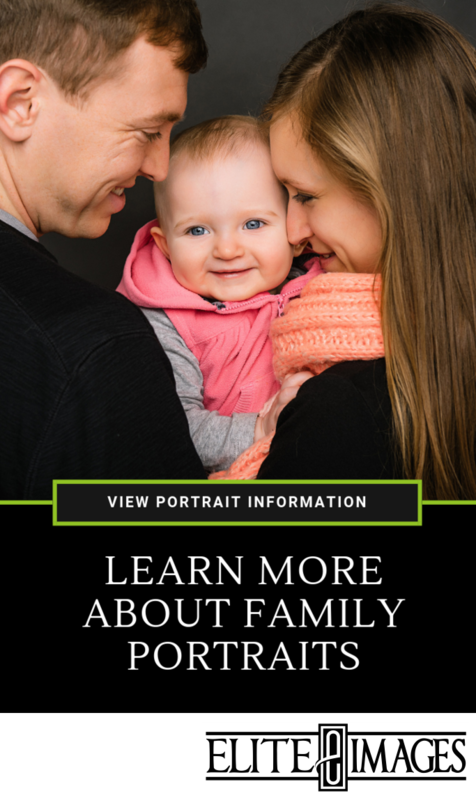 Wall portraits of your family are more than just decoration... they’re your family’s story. Handcrafted and beautifully printed, gallery wraps are a great way to make your images stand out. The image is first printed on a metallic photographic paper. The emulsion is stripped and adhered to to the canvas. Unlike inkjet, this process creates an image that is lightfast, not easily worn out with age, and won’t rub off. The canvas is then stretched over solid hardwood bars resistant to warping and twisting. The surface is finished with a glossy laminate to protect your image from scratches, cracks and fading. Complete with sawtooth hangers and corner bumpers, they’re ready to hang up and show off! Just like the name suggests, these pieces of wall art are crafted to “float” on the wall. Wrapped around a padded maisonette board and then backed with a thick gatorboard block, these stunning wraps give the unique illusion of hovering in mid-air. 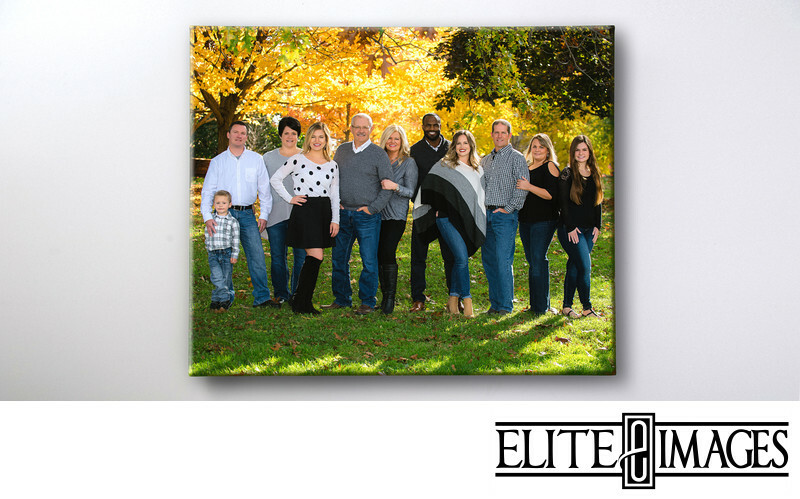 Our metallic options offer a bright, bold, and modern approach to family portraits. Metal wall art is a sleek and highly contemporary way to display your most stunning images. The reflective surface shows off colors with unparalleled brilliance. 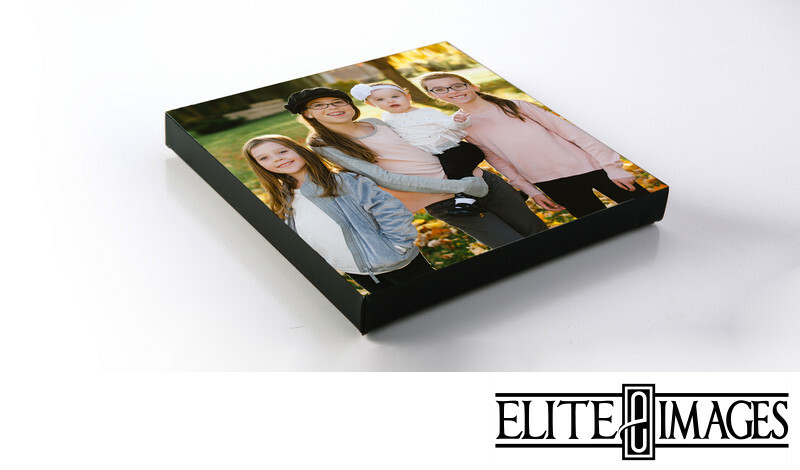 Using a cutting-edge method of transferring the image directly onto the aluminum, your portraits really shine! These wall art pieces feature a Lustre photographic print wrapped around a 1" wooden block. 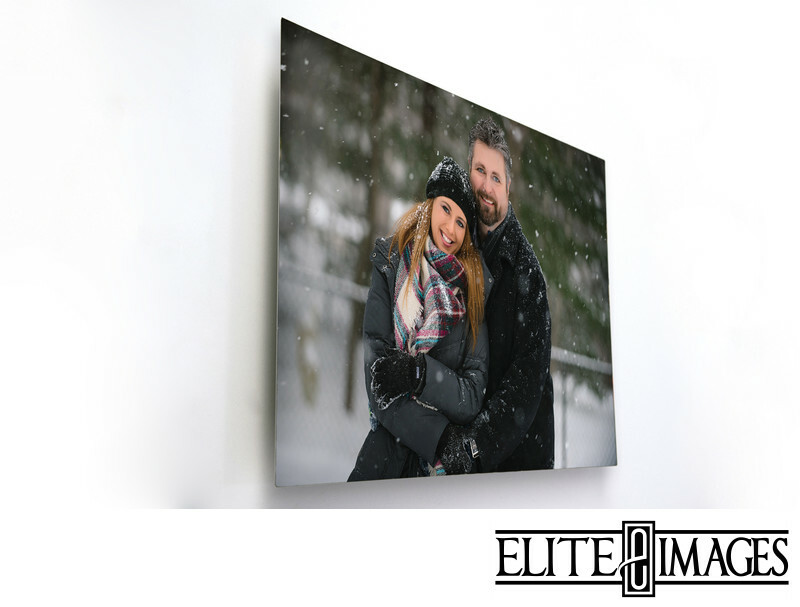 With a similar style as the Gallery Wrap, Image Blocks are a simple way to make your portraits stand out. These 11x14 images are printed in professional lustre and mounted on 3mm styrene to prevent warping They are color rich and designed to last. We frame each one right here in the studio with a black, quality wood frame and complete it with hanging hardware so it’s wall ready the moment you take it home! 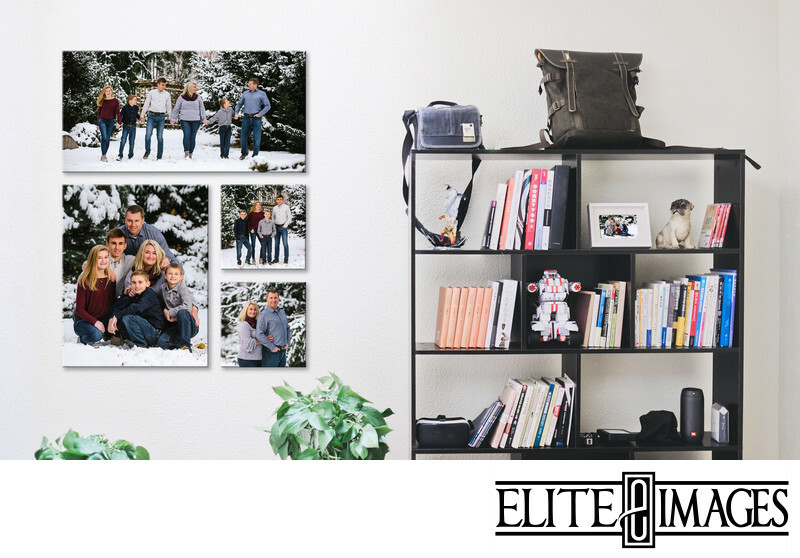 Add a personal touch to your home decor with a collection of your family portraits! 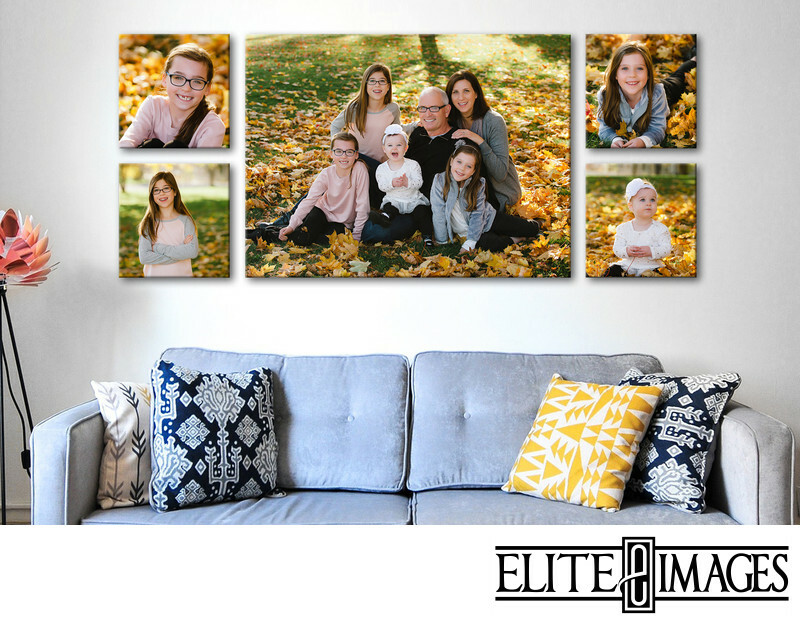 Our designers can create a cohesive wall collage with your favorite images that are perfect for bringing meaning and memories into your living space. We can even virtually design your collage using a picture of your own home’s wall so you know exactly what the sizes and layout will look. Wall Art Collages can be created using any style of art, from Gallery Warps to Prints, so you can have a personal collection no matter your style or budget. When you have SO many images that you absolutely love, it’s really tough to pick out just a few. Lucky for you, there’s a way to keep all your favorites! Our Designer Albums feature a full color photographic cover in a glossy finish. The lay-flat binding allows for nearly seamless full-spread images and lets you keep your favorite pages open on display. Each page is styled by one of our very own graphic designers who work with the colors and compositions of your images to create the most engaging layouts. There’s no doubt about it... your family looks amazing! So go ahead and brag! We created our phone app to be the ultimate sharing tool so your can show off the best images of your loved ones. Loaded with your favorites, you can use the app to update your profile picture or send directly to another person. The images are at a resolution perfect for fast uploading and viewing on screen. With the app right there on your smartphone, you can view and share your pictures wherever you are! Printing your images at the nearest drugstore may seem like a good idea, but they don’t always turn out how you expect. 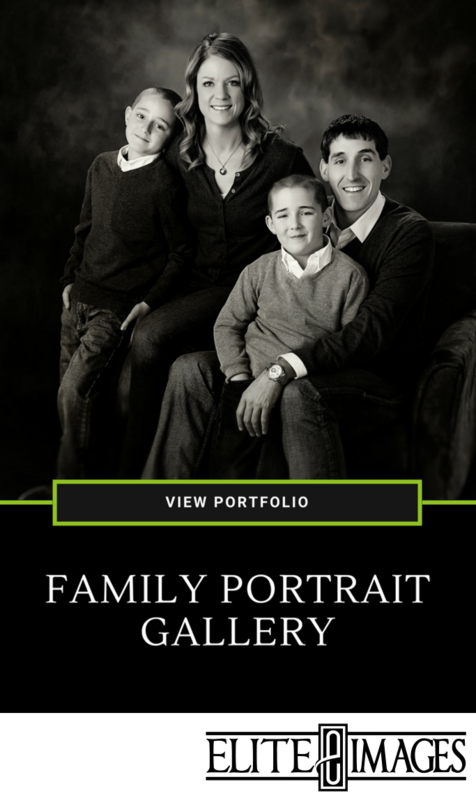 Our professional lab produces superior quality images, so your portraits look exactly like they intend to! While many places print with unbalanced saturation and contrast which changes the appearance of your photographs, the prints from our professional lab are fully color correct for vibrant and detailed images that are true to the original. And with professional quality paper, your images have excellent color stability and are guaranteed to be long lasting. We even mat all of our desk-size images so they’re protected while handling and ready for display!